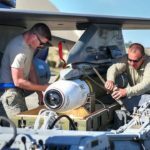 Airmen with the 379th Expeditionary Maintenance Squadron prepare a Conventional Rotary Launcher (CRL) to be installed in a B-52 Stratofortress. 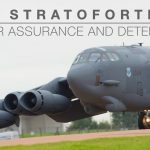 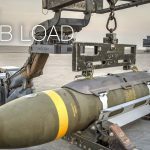 CRL enhances B-52 bomber’s effectiveness by adding smart weapons capability to the aircraft’s internal weapons bay for the first time. 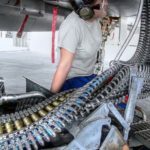 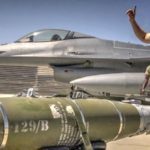 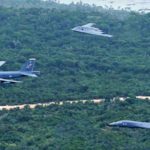 Posted On November 23, 2017 in Air Force, Military with 0 Comments.Tagged: armed forces, B-52, Bomb bay, Conventional Rotary Launchers, internal weapons bay, Military, military technology, Smart Bomb, smart weapons, US Military, weapons bay.